Best Time to Visit : May and November. Established in 1932 by the great Indian Sage Swami Shivananda, Sivananda Ashram is 3 km from Rishikesh, on the way to Badrinath. Located on the banks of the holy river Ganges at the foothills of the Himalayan ranges, Swami Sivananda established this ashram with a motto of promoting the spiritualism for devotees. The Ashram is the headquarters of the worldwide known organization called 'The Divine Life Society'. Born in 1887 to an educated Brahmin family in Tamil Nadu, Swami Shivananda trained as a medical doctor and spent ten years working as a physician in Malaysia. Looking for spiritual answers to the suffering and death he stopped his medical career, and returned to India. He then settled in the sacred valley of Rishikesh and initiated into sanyas. In 1932 he established the Sivananda Ashram in an abandoned cowshed on the banks of the river Ganges and he guided thousands of spiritual seekers, disciples and aspirants all over the world. Since residency at the ashram is restricted, the easiest way to participate in ashram activities is to rent a room nearby and attend part or the entire daily program, which generally includes meditation, bhajans, a morning lecture or a question and answer session, evening satsang, and a variety of special services and ceremonies. The Ashram has no gates and makes no distinctions between castes. All are welcome at the special celebrations, which include all the major festivals of all the major faiths. On Christmas Eve, there is caroling and Bible reading; for Sivarathri, there is an eight hour puja; there are celebrations for Buddha's birthday and Guru Nanak Day. The ashram conducts rejuvenation programmes and training courses for beginners as well as Teachers training courses, in Yoga and Ayurveda. With the approval of Chief, serious students may be given permission to stay at the ashram for up to several months free of charge. Longer term residency must be negotiated on an individual basis and is reportedly much more difficult to arrange for women than for men. Of the close to three hundred residents, only about twenty five are Westerners, and of those, only handfuls are women. The Ashram buildings sprawl on both sides of the road to Lakshman jhula, just north of the Muni Ki Retri rickshaw stands. Inside the complex, there are Samadhi Hall, Vishwanath Mandir, Bhajan Hall and Music Hall. Facilities include a free medical clinic, an extensive library and book strone, and an ayurvedic dispensary. Meals and shared roosm with private baths are available for pre approved guests only. 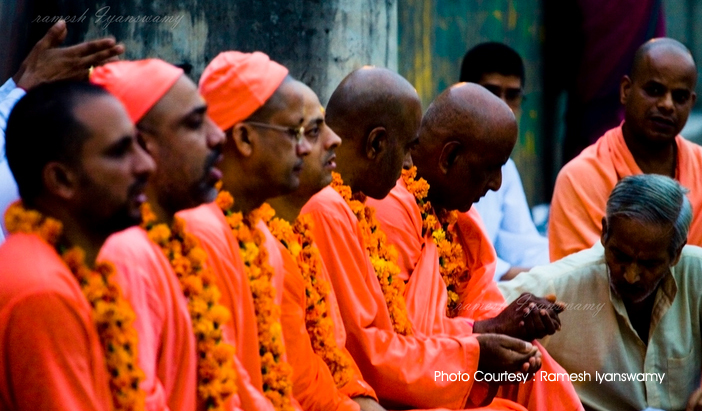 A typical day in the ashram begins with Morning meditation at 5 am. followed by Yoga asanas, talks and Karma Yoga (selfless service). A lecture or question and answer session with the chief is generally held around 10 or 10.30 am. Sivananda ashram has its main branches at Neyyar Dam near Thiruvananthapuram Kerala, and Chennai in Tamil Nadu, Uttarkashi, and Andhra Pradesh.